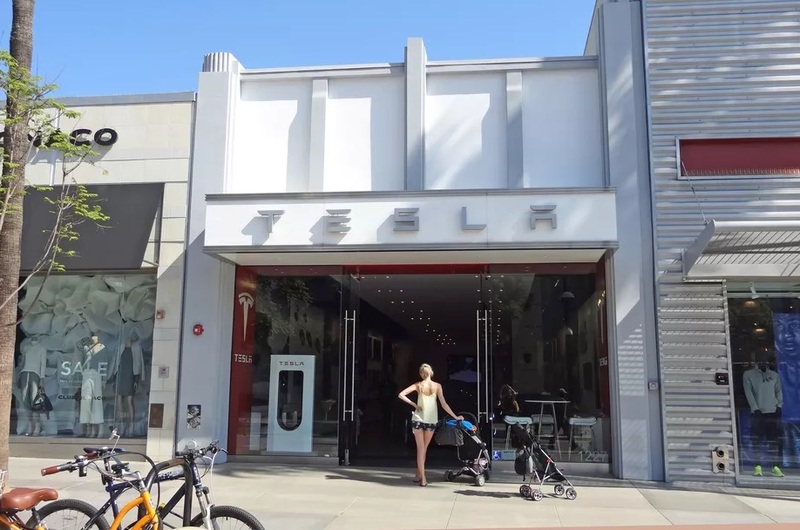 Tesla Store in Santa Monica sells for a whopping $5,200 per sqft. 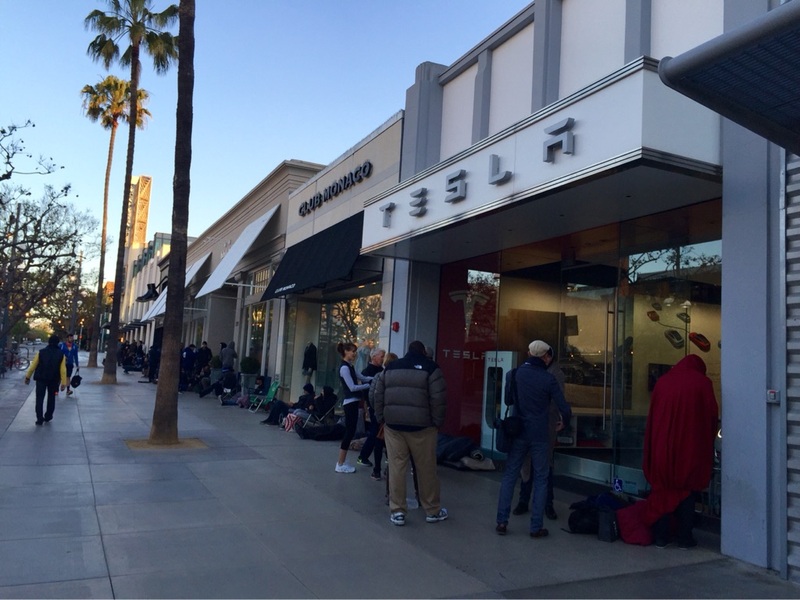 Model 3 reservation hopefuls that lined up on the day of Model 3 Mania in front of the manufacturer’s Santa Monica showroom are well acquainted with the tiny boutique-like space that bears the name to arguably one of the world’s most talked about brands – Tesla. Nestled amongst narrow two-story Art Deco buildings lies Tesla’s 3,000 square foot storefront on famed Third Street Promenade – a local hotspot for Los Angeleans and tourists alike. The $5,200 per square foot price may seem exorbitant, but it’s not uncommon for storefronts lining the famed beachside attraction. Just a few doors down is Apple’s ubiquitous glass-front showroom which sold in 2014 to an affiliate of KLM for $100 million, or $5,700 a square foot. By comparison, stores along the prestigious shopping streets in Beverly Hills demand almost four times as much. The Bijan store on Rodeo Drive recently sold for $122 million, or $19,405 a square foot. KLM also owns the famed Chinese Theatre in Hollywood and various storefronts in nearby Venice.